The Penn pressureless tennis balls are a great choice for training using your tennis ball machine. Pressureless balls provide longer playability while maintaining consistency, resulting in less frequent replenishment. 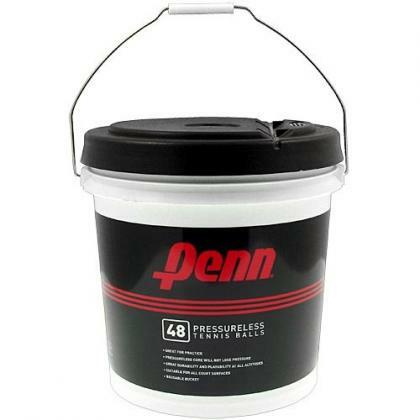 The Penn pressureless 48 ball bucket is reusable and has a handle for easy transport and storage. Order this bucket of tennis balls today. Tennis ball buckets each contain 48 balls.